Proceeds from the Tuesday, August 16th event to benefit the Southern Food and Beverage Museum. A collection of splendidly authentic hotels in America’s favorite city has banded together to host the second annual New Orleans Hotel Collection Sake Hop to benefit the Southern Food and Beverage Museum. This year's event has grown, taking place on Tuesday, August 16th at 5:00 p.m. to coincide with the city’s Happy Tuesday internet campaign. Sake Hop will enlist the assistance of regional television news personalities as celebrity hosts, offering up delightfully cooling cocktail creations created especially for the event by bartenders of the Collection. In addition to sake tastings, specialty cocktails will feature Big O Ginger Liqueur, a sponsor of the event. The participating French Quarter bars are: 21st Amendment at the Hotel Mazarin; Vive! Bar at Hotel Le Marais; Bourbon O! at the Bourbon Orleans Hotel; May Baily’s Place at the Dauphine Orleans; and Patrick’s Bar Vin at the Hotel Mazarin, where the event will conclude. The cocktail journey starts at any of the participating bars. where participants may also receive a Sake Hop passport which will be validated at each visited location. Participants who turn in a completed passport will be entered into a drawing for great prizes including a two-night stay at one of the New Orleans Hotel Collection’s hotels. To be eligible for the drawing, completed passport cards must be submitted at Patrick's Bar Vin no later than 8:00 p.m. The drawing will be held promptly at 8:00 p.m. Participants will stroll through the French Quarter while enjoying complimentary sake tastings at each of the five featured bars and chatting with celebrity bartenders. 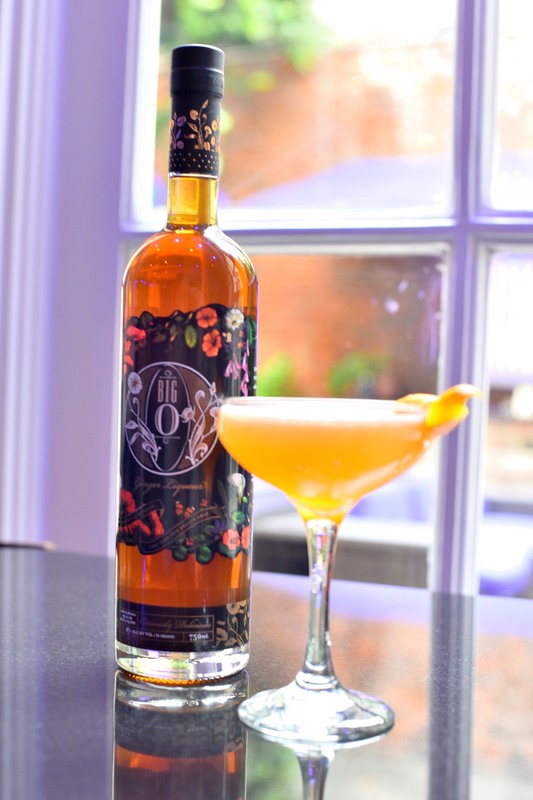 Sip specially created, Asian-inspired cocktails featuring the Big O Ginger Liqueur available for sale at each location. Great door prizes will be offered to participants - including hotel stays, by visiting each location and getting the Sake Hop passport stamped. Additionally, Sake Hop participants may vote for favorite bartenders - the top voted bartender will be named the Sake Hop Champion and receive a prize. Sake Hoppers may visit http://sakehop.com to review the Collection’s hotels and locations, and reserve accommodations for exceptional direct-booking hotel room discounts. Callers to the Collection’s central reservations number (855) 978-6642 may ask for the “beverage” special to reserve discounted hotel rates or other vacation packages. Four of the top ten TripAdvisor® rated hotels in New Orleans are among the New Orleans Hotel Collection properties. The Hotel Le Marais was recently selected from over 150,000 hotels worldwide and awarded the coveted “Insider Select” award from Expedia. The Bourbon Orleans Hotel of the Collection was named a Conde Nast “Top Ten” Hotel for 2015/16. Hotels of the Collection reflect the unique feel and charm of New Orleans while providing a high-level of personal service. All hotels offer valet parking, as well as the following complimentary amenities: Wi-Fi, local phone calls, newspapers, in-room bottled water and coffee, and fitness and business centers. Some offer complimentary daily breakfast, and a welcome beverage. Hotels are located in the French Quarter, the Arts District, and adjacent to Louis Armstrong International Airport (MSY). The New Orleans Hotel Collection is a group of six fine hotels in the New Orleans metropolitan region owned by local investors. Comprised of the Whitney Hotel, Bourbon Orleans, Dauphine Orleans, Hotel Mazarin, Crowne Plaza New Orleans Airport and Hotel Le Marais, these are boutique and small upscale meeting hotels in prime locations throughout the city. For more information, visit the New Orleans Hotel Collection website at http://www.neworleanshotelcollection.com.